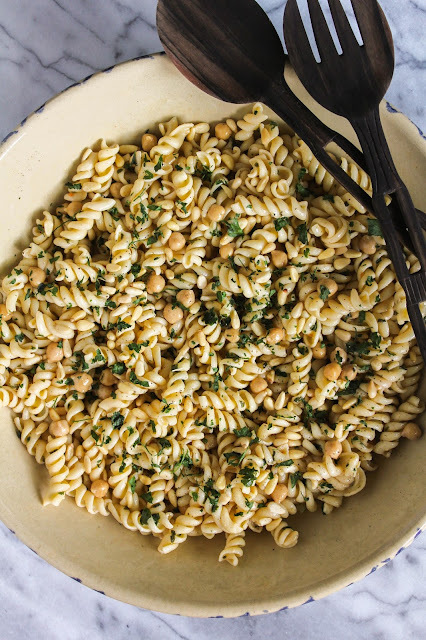 Chickpeas and toasted pine nuts add the perfect crunch to this fresh, delicious pasta salad! If you've been following my blog for awhile, you know that aside from sweets, pasta is by far one of my favorite foods. Whether it's a main pasta dish for dinner, or a cold pasta salad for a picnic, I truly love my pasta. Lately I've been trying really hard to eat healthy as often as possible and make better food choices. To help with that, I've been eating a lot of Dreamfields Pasta and let me say it's quickly become my favorite! With 5 grams of fiber and 7 grams of protein per serving, it's a simple way to add nutrition to your diet. And it tastes delicious, too! Dreamfields is celebrating their 5th Anniversary of their #Pastapalooza event. To celebrate this milestone, they’re having a #Pastapalooza Market Basket Challenge! 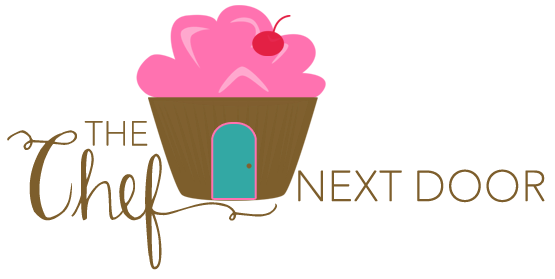 Food bloggers are creating recipes around different themes using five required ingredients. 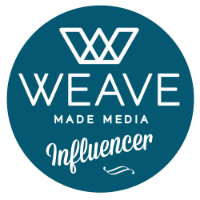 Readers have the opportunity to vote for their favorite recipe from each market basket category, with the winning blogger receiving a $1,000 donation to their local food bank/pantry; a $200 donation will go to the food bank of choice of the remaining bloggers. One randomly drawn reader who votes will win a family pack of Dreamfields Pasta plus a $1,000 donation to the local food bank/pantry of their choice. As a supporter of the Greater Lansing Food Bank, I was thrilled when Dreamfields asked me to participate in this challenge. This is a fantastic way to get myself and others involved in such an awesome cause! I chose cumin as my spice, chickpeas for my legumes, a sweet mango chutney, and lemon for my citrus to go in my dressing. My two extra ingredients were pine nuts and parsley. 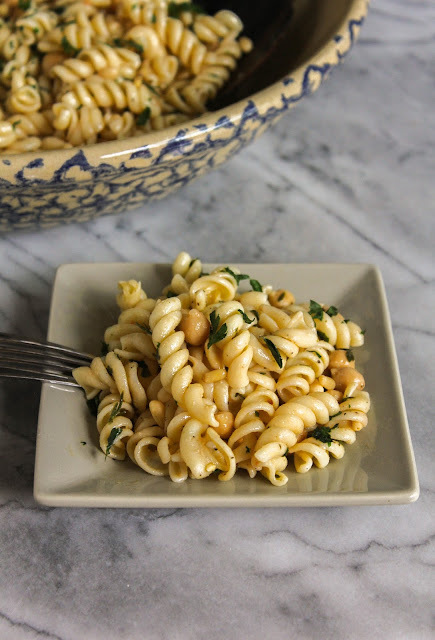 I absolutely love toasted pine nuts, and I knew they would give this dish the perfect crunch it needed! The parsley also gives it a beautiful freshness, as well as a brightness with the pretty green flecks. 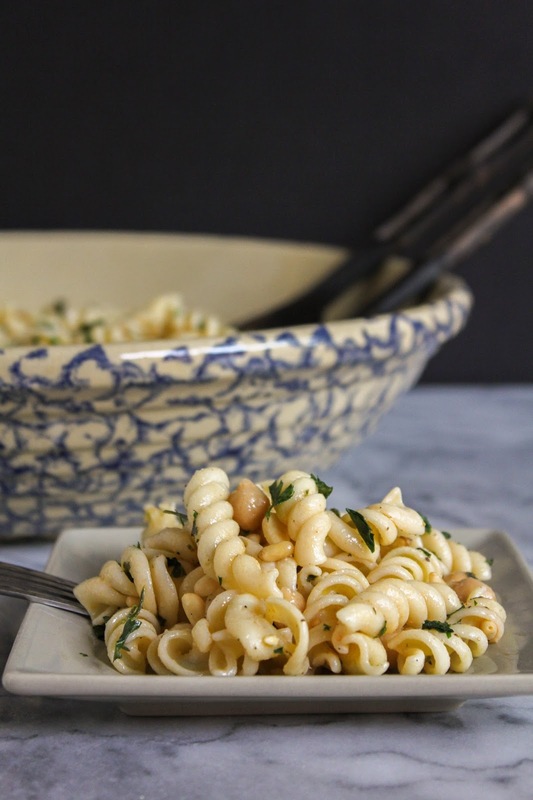 I would so appreciate if you'd vote for my Chickpea & Pasta Salad with Lemon-Chutney Dressing! 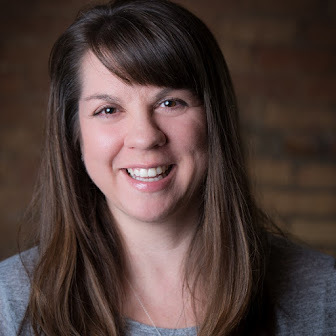 Remember, your vote goes to a good cause as I’ve chosen to support the Greater Lansing Food Bank in this challenge! Don’t forget, you could win too! If you choose to vote and your name is randomly chosen, you'll win a family pack of Dreamfields Pasta plus a $1,000 donation to a food bank of your choice! Thanks so much for your support! Now, let's make some pasta salad! Cook pasta according to package directions. Place pasta in large bowl. Add chickpeas; toss to combine. Set aside. Spray small skillet with light coating of nonstick cooking spray. Heat over low heat until hot. Add pine nuts; cook 10 minutes or until lightly browned, stirring frequently. 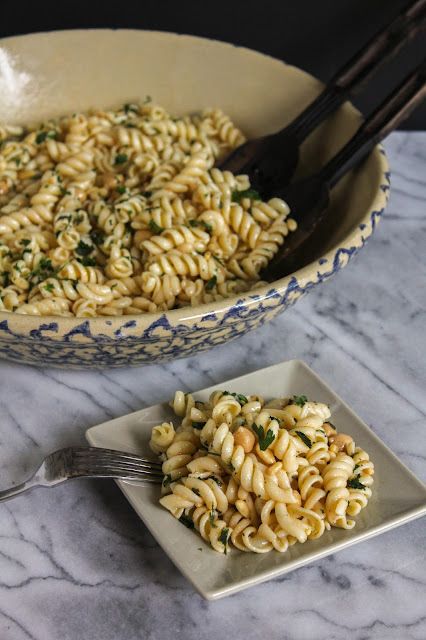 Add toasted nuts and parsley to pasta; toss gently to combine. Meanwhile, in small bowl, whisk together oil, lemon juice, chutney, salt, cumin, pepper and garlic. Add dressing to pasta; toss to coat well. Season with salt and pepper, as desired. Garnish with additional parsley, as desired. Nutrition information (1/6 of recipe): 530 calories; 13 g protein; 62 g carbohydrates; 28 g total fat; 3 g saturated fat; 0 mg cholesterol; 410 mg sodium; 10 g total dietary fiber. Disclaimer: This post is sponsored by Dreamfields. I was compensated for my time, however, all opinions, as always, are my own.